National Child Passenger Safety Week Carpool Safety | Hupy and Abraham, S.C.
September 23-29, 2018 is National Child Passenger Safety Week. During this week, it is important to consider your child’s safety not only in your own vehicle but also in any other car. In the early days of your child’s life, your child may only be in a car driven by you or your child’s other parent. However, as your child grows, he may be a passenger in a carpool, in a grandparent’s car, or in the car of a family friend or relative. Parents (or legal guardians) of a child under the age of eight are responsible for providing an approved child safety seat to anyone who is transporting their child. The driver of the vehicle in which a child under the age of eight is a passenger is responsible for securing the child in an appropriate child safety seat. This may be a rear-facing car seat, a forward-facing car seat, or a booster seat depending on the age and size of the child. The driver of the vehicle in which a child between the ages of eight and sixteen is a passenger is responsible for requiring the child to wear a seat belt. The Child Passenger Protection Act was enacted to keep children healthy and safe in all vehicles in which they may be a passenger. This includes not only the law described above, but also your own rules. Your child should be in a car seat that is right for his size and age. For example, if you choose to follow the more stringent child restraint guidelines set forth by the American Academy of Pediatrics, then you should be sure that other drivers do the same when transporting your child. 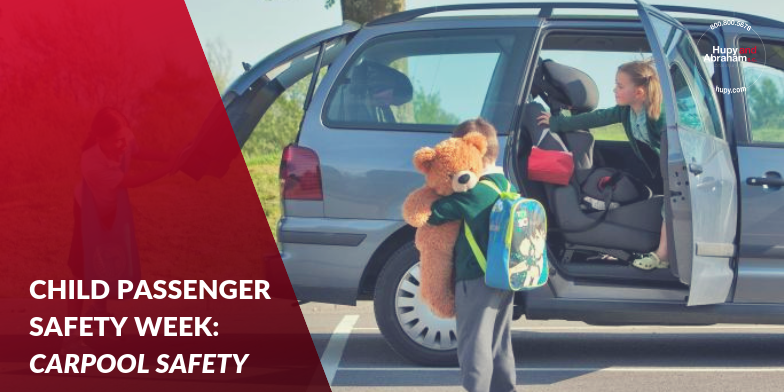 During National Child Passenger Safety Week, we encourage you to help raise awareness about car safety for children among other drivers so that your children and others can be protected from dangerous car accident injuries. Posted on 01/15/2016 What Damages Can You Recover After an Illinois Car Accident? Posted on 01/14/2016 What Happens If You Were Partly at Fault for an Illinois Car Accident?